St. Patrick's Day Shamrock Wrist Band. 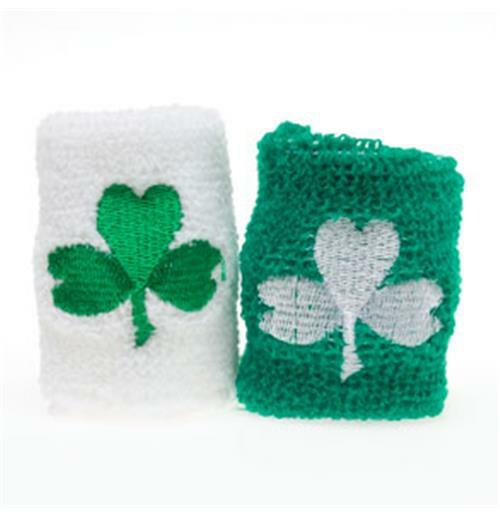 Perfect for your St. Patrick's Day party, this terry wristband features an embroidered clover. Random selection of green with white, or white with green.